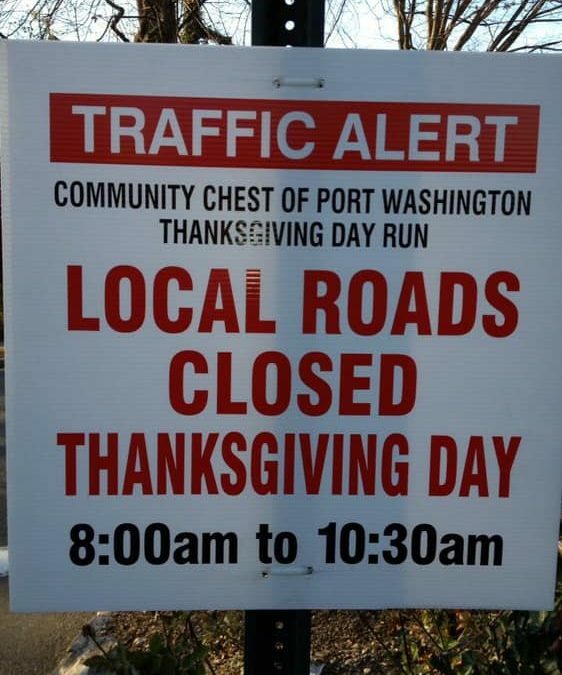 Roads CLOSED THANKSGIVING Morning 8:00 am until approximately 10:30 am. Starting at Manorhaven Blvd to Cowneck Road to Middleneck Road to Port Blvd to Sandy Hollow Road to Harbor Road to Shore Road and back to Manorhaven Blvd. The roads begin to open once participants have cleared said road. So the first to open is Cowneck Road then Middleneck Road then Port Blvd etc.